The fifth downtown Scene in Winston-Salem Scavenger Hunt will take place on Saturday, April 14, 2012 from 1:00 p.m. to 5:00 p.m. Scene in Winston-Salem Scavenger Hunt was started in the spring of 2008 by a group of volunteers wishing to educate visitors and locals on the history, culture and community of Winston-Salem in a fun and interactive way. Scene in Winston-Salem won a 2011 Downtown Excellence award for its work with non-profit groups to raise money and awareness of downtown restaurants, clubs, galleries and organizations. 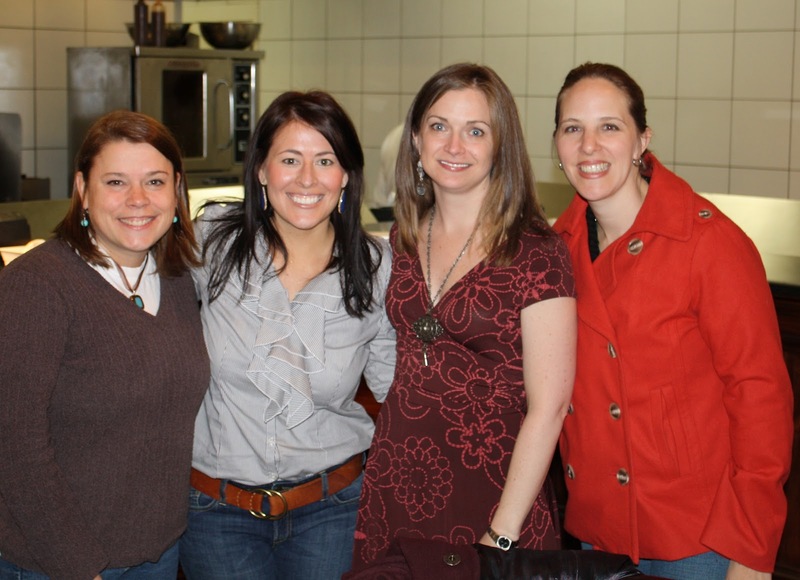 Founders of the event, Sadie Caplan Cornelius, Debra Chiarello, and Susan Morris met at a "Dinner with Eight plus Smitty" dinner and discovered their common love for Winston-Salem and its downtown. Morris explained that she had just participated in an event in Atlanta where there were puzzles that led participants around the city. This inspired the women to create a similar event in Winston-Salem. Six weeks later the women had chosen ten Downtown Winston-Salem destinations, acquired sponsors for the event, and the first Scene in Winston-Salem Scavenger Hunt made its debut. 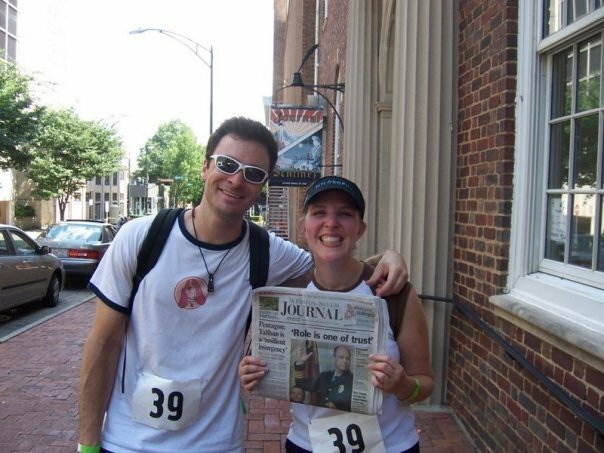 Teams of two solve clues that lead them to downtown Winston-Salem destinations where teams perform tasks, have their "passport" stamped and take pictures at various downtown businesses and landmarks. Bonus points and prizes can be earned along the way, with a grand prize of $200 for the fastest team to complete the hunt. Teams can also win bragging rights for the best team costume and the best team name, awarded at the after party to be held at Ziggy’s. Sponsors and hunters are still being accepted. Proceeds from this year’s hunt benefit the Meade Willis fund, which grants money to assist restaurants, clubs, and galleries wishing to operate downtown. Over the last four years, the Scene in Winston-Salem Scavenger Hunt has drawn a crowd of over 750 participants who have helped raise over $15,000 for the Downtown Winston-Salem Partnership and its programs. The registration fee is $25 per person (teams of two required) before March 31, 2012 and $30 per person thereafter. Children under the age of 15 are free with two paying participants. The registration fee includes a gift bag filled with special promotions from sponsors and admission to the after-party which includes door prizes, as well as food and drink samples from local restaurants. Cash prizes of $200, $100 and $50 will be awarded to the top three finishing teams. 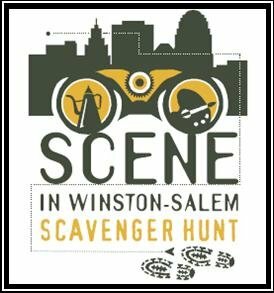 Organizers of the Scavenger Hunt have decided to make this fifth year, the final year of the Scene in Winston-Salem Scavenger Hunt. “We are pulling out all the stops this year to make our last year our most memorable event. We invite anyone who has ever wanted to participate to register for the 2012 event. We have lots of twists and game-changers in store. It’s going to be amazing,” says Susan Morris, Co-founder and Director of Artistry, History, and Trickery for the Scavenger Hunt. 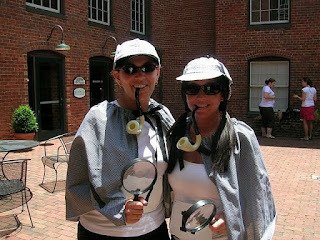 Find more fun photos of Scene in Winston-Salem Scavenger Hunt on Facebook. FAQ, rules, previous year's results and additional details for the Hunt can be found at www.sceneinwinston-salem.com. For additional press questions and sponsorship information, contact Debra Chiarello atdebra@sceneinwinston-salem.com.